This rifle is all matching including the stock. I added the original scope and mount. I have since repaired the leather strap with a new piece so that it is complete and looks pretty much all original. I didn't loose any of the leather that was original in this process. I have one of R. Applegate's shooter's kits in this rifle. I shoot it very sparingly and never with the scope, but it is a fine shooting weapon. That is a great looking rifle, defiantly one to acquire one day. Do they still make repro scopes and mounts? My K43 is not worthy of an original. I don't think that I've seen any new zf4 mounts but ebay usually has a few. 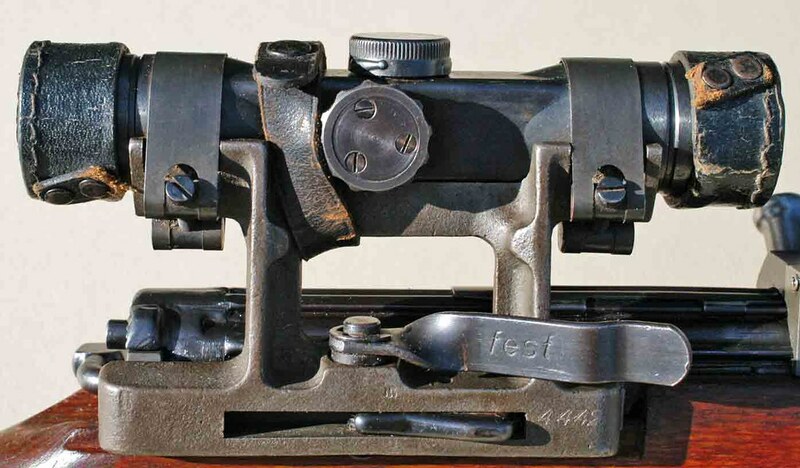 The Meopta (Czech) scope might be found. Actually, Numerich Gunparts lists a repo mount at $119 and a Meopta scope with can for $399. If you called them they my not actually have these but in any case they come up in a search.